Sherrill Milnes (born January 10, 1935) is an American operatic baritone most famous for his Verdi roles. From 1965 until 1997 he was associated with the Metropolitan Opera. His voice is a high dramatic baritone, combining good legato with an incisive rhythmic style. By 1965 he had made his debut at the Metropolitan Opera. His international debuts followed soon thereafter, and Milnes became one of the world's prominent Verdi baritones of the 1970s and 1980s. 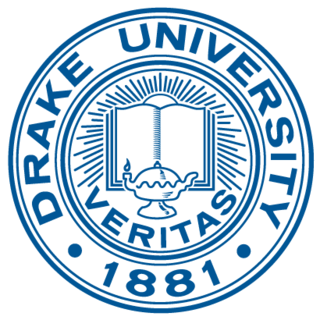 Drake University is a private, co-educational university in Des Moines, Iowa, United States. The institution offers a number of undergraduate and graduate programs, as well as professional programs in business, law and pharmacy. Drake's law school is among the twenty-five oldest in the country. North Central College is a private liberal arts college in Naperville, Illinois. It is affiliated with the United Methodist Church and has nearly 70 areas of study in undergraduate majors, minors, and programs through 19 academic departments organized in three undergraduate colleges/schools and a masters program. Milnes began his career with the Opera Company of Boston in 1960, joining Boris Goldovsky's Opera Theater, and debuting as Masetto in Don Giovanni . From very early on in his career, Milnes was managed by well-known talent manager Herbert Barrett. In 1961, he made his debut at Ponselle's Baltimore Opera as Gérard in Andrea Chénier. The Opera Company of Boston was an American opera company located in Boston, Massachusetts, that was active from the late 1950s through the 1980s. The company was founded by American conductor Sarah Caldwell in 1958 under the name Boston Opera Group. Boris Goldovsky was a Russian-born conductor and broadcast commentator, active in the United States. He has been called an important "popularizer" of opera in America. As an opera producer, conductor, impresario, and broadcaster he was prominent within the American operatic community between 1946 and 1985. The New York City Opera (NYCO) is an American opera company located in Manhattan in New York City. 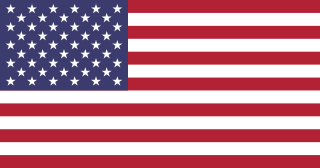 The company has been active from 1943 through 2013, and again since 2016 when it was revived. Beginning in 1982, Milnes experienced serious vocal health problems which took him some time to surmount. In 1984, he sang in the world premiere of Act I of Sergei Rachmaninoff's opera Monna Vanna , which had been left in piano score by the composer and orchestrated by Igor Buketoff. On July 5, 1986, he performed on the New York Philharmonic's tribute to the 100th anniversary of the Statue of Liberty, which was televised live by ABC. The orchestra, conducted by Zubin Mehta, performed in Central Park. Paul Plishka is an American operatic bass. Pablo Elvira was a Puerto Rican baritone. Elvira was born in San Juan, Puerto Rico, and began his musical career playing jazz trumpet there, with his uncle, Rafael Elvira, in his orchestra, he continued in his father's band and later started his own band who played at the Hotel San Juan. In 1966, he joined the voice faculty of the Indiana University School of Music; during his eight years there he performed baritone roles in many of the school's opera productions. Bonaldo Giaiotti was an Italian operatic bass, particularly associated with the Italian repertory. The Philadelphia Lyric Opera Company was an American opera company located in Philadelphia, Pennsylvania that was active between 1958 and 1974. The company was led by a number of Artistic Directors during its history, beginning with Aurelio Fabiani. Other notable Artistic Directors include Julius Rudel and Anton Guadagno (1966–1972). The company produced between four and six of their own operas every year in addition to sponsoring numerous traveling productions from the New York City Opera. In 1975 the company merged with the Philadelphia Grand Opera Company but retained its original name. With the combined resources of both companies, the Philadelphia Lyric Opera Company began producing higher quality productions with name artists such as Luciano Pavarotti, Joan Sutherland, Roberta Peters, Montserrat Caballé, and others. For the bicentennial year 1976, the company commissioned famed opera composer Gian Carlo Menotti to create a new opera. The work, The Hero, premiered on June 1, 1976. In 1980, the company artistically reorganized to form the Opera Company of Philadelphia. Maralin Niska was an American operatic soprano. Well known as a singing-actress, she was a mainstay of the New York City Opera during the 1960s and 1970s She was also a regular performer at the Metropolitan Opera from 1970-1977. Betsy Norden is an American soprano who appeared with the Metropolitan Opera over 500 times. Richard J. Clark is an American operatic baritone. He studied at the Academy of Vocal Arts and the Juilliard School. ↑ "Liberty Receives Classical Salute, Sun Sentinel, July 5, 1986". ↑ "The Winners of the 2008 OPERA NEWS Awards are…". Metropolitan Opera, Opera News. 4 August 2008. Retrieved 20 March 2009. ↑ "Sherrill Milnes". Metropolitan Opera Archives. ↑ The Lincoln Academy of Illinois. "Convocation & Investiture of Laureates, 2003"
↑ Milnes, Sherrill; McGovern, Dennis. "American aria: encore", p. 33, Hal Leonard Corporation, 2007. ISBN 1-57467-160-X. Accessed February 21, 2011.